A quality ski jacket will keep you warm, protect you from the elements, and have enough space for all your gear. That’s why the Obermeyer Hadley Insulated Ski Jacket is a great choice for your winter gear. Made with HydroBlock® sport fabric and with varied quantiles of insulation around the body for improved warmth, this technical ski jacket is ready for even the snowiest conditions. The Obermeyer Hadley Insulated Ski Jacket also has enough zippered pockets for all your essentials including a YKK® Metaluxe® front zipper with an interior windguard and fleece chin protector, zippered hand, chest, and sleeve pockets, and finally a removable zippered “butterfly” hood for a custom look suitable for any occasion. "Since this jacket is insulated, I don't need to wear a fleece insulated layer underneath,right?" "We highly recommend layering up with a base and mid-layer for additional warmth. We hope this information helps. " "1)How soft of a hand does it have? My daughter is a big skier, and very particular... 2)Doesn't appear to have pit zips, does it? Thank you!" "Thank you for your inquiry. 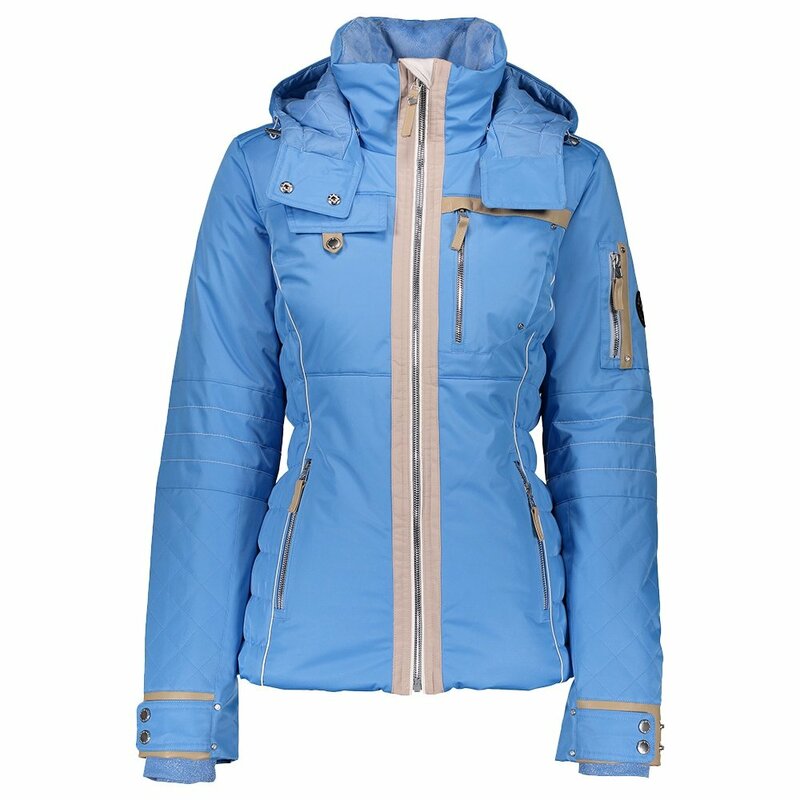 The fabric of the Obermeyer Hadley Insulated Ski Jacket is very soft, however, this item does not have pit zips. We hope this information helps!" "The descriptions says it is a relaxed fit - if I'm between sizes is it best to upsize or downsize? I don't want it to be too baggy, nor too tight." "Thank you for your inquiry. We would always recommend sizing up for comfort and extra room for layering. We hope this information helps! "